Since its publication in 1992, Jazz, probably Toni Morrison's most difficult novel to date, has illicited a wide array of critical response. Many of these analyses, while both thoughtful and thought-provoking, have provided only partial or inherently inconclusive interpretations. The title, and certain of the author's own pronouncements, have led other critics to focus on the music itself, both as medium and aesthetic support for the narration. 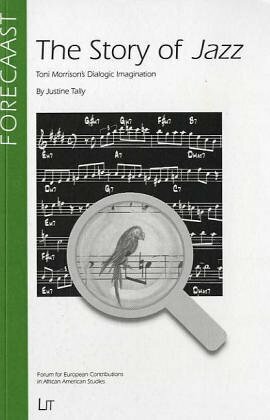 Choosing an entirely different approach for The Story of Jazz, Justine Tally further develops her hypothesis, first elaborated in her study of Paradise, that the Morrison trilogy is undergirded by the relationship of history, memory and story, and discusses "jazz" not as the music, but as a metaphor for language and storytelling. Taking her cue from the author's epigraph for the novel, she discusses the relevance of storytelling to contemporary critics in many different fields, explains Morrison's choice of the hard-boiled detective genre as a ghost-text for her novel, and guides the reader through the intricacies of Bakhtinian theory in order to elucidate and ground her interpretation of this important text, finally entering into a chapter-by-chapter analysis of the novel which leads to a surprising conclusion.